As those of you who know me, or even those of you who simply read this blog likely know, I LOVE to read. I adore books, I inhale books, books excite me and fill me with joy, anticipation and passion. I find knowledge, new ideas, distraction, romance and thrill in embedded in their pages. I believe that books (nonfiction as well as fiction) help us to deal with the dilemmas, challenges and trials of what it means to be human. 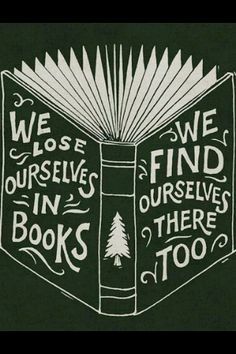 Even in fictional stories we can always find ourselves, or semblances of ourselves, between the pages. We can apply things we read about in stories to real life, absolutely, no question. Fiction is the lie through which we actually tell the truth about the triumphs and trials of humanity. As those of you also know, I frequently talk about books I have especially enjoyed on here as well (in other words, my personal recommendations). I have read a number of books in relation to the topics of: communication, friendship, romantic relationships and other psychology topics over the years. However I have a few standout favorites which I would highly recommend to others. In each of these particular books, I have found tips, knowledge and new ideas that have resonated and stayed with me long past finishing them. For most of them, I have returned to them more then once to reread them. I feel that this selection of books in particular are especially well written and offer the type of knowledge that one can really apply to not only romantic relationships but also their friendships and familial relationships in ways that they will truly see differences in terms of the levels of successful communication between you and that person, the depth of connection and understanding that you may feel and get from that relationship, etc. Each of these books has made me feel particularly inspired, has spurned feelings of peace, thoughtfulness and confidence within me upon reading them. Each of them has offered me new ideas about how to navigate the complicated roads of friendships, family relations, romantic relationships, etc. My mind has been opened and inspired in all of these reads. I have felt excited after reading each one, going forward into both the relationships I already do have as well as the new ones I will form over the years, with the new knowledge and ideas I have acquired. This book is awesome. The word "relationships" in the title refers not only to romantic relationships but also friendships and even familial relations. The book explains what real love looks like, which surprisingly, a vast majority of people do not truly understand. I was startled to find that even I didnt fully understand it myself, how to really love someone else with openness, maturity and bravery, until I read this book. Upon reading it had numerous "ah ha!" moments of surprise and resulting thoughtfulness from what he explained in each chapter. He approaches love with maturity, allowing space for others to be themselves, how loving someone has nothing to do with trying to control or change them and instead everything to do with allowing them to simply be who they are, witnessing their journey, and loving them and supporting them anyway. 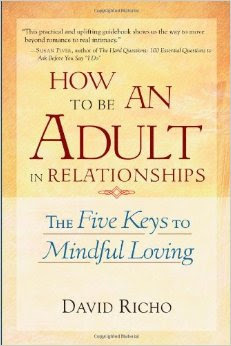 This read offers excellent advice about romantic relationships as well as the love between a parent and child (which, the way he describes it, sadly a majority of the parents of those close to me I feel do not understand as well as they could- and if they did, could vastly improve their relationship with their children). I have read this three times now I believe, and its a very worthwhile read. It will change the way you think of love, absolutely giving you new eyes in relation to this topic. 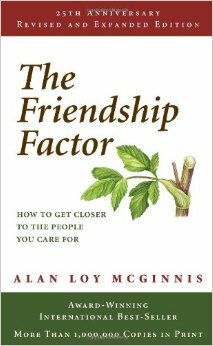 Another great book on how to connect closely with others. Though this text focuses mainly on friendship, the information can just as easily be applied to romantic connections as well as family relationships too. The book essentially tells you how to be a truly good friend to those you cherish (which again, as in the previous book, a lot of people do not fully understand. They only think they do). Some of it is logic or may be things you already know. However, a lot of this book offers thoughts that you may not have considered in depth before but upon reading about, you will find yourself examining more closely (which is a good thing). I have read this book a number of times and each time I delve into it for a refresher, I find myself being a (hopefully) more mindful, patient, loving friend afterwards. Its a quick and short read, you cannot possibly go wrong with it. Really important and relevant information in here. What was really cool about this book is how it describes something called a "bid" in relationships (romantic or non). This is an attempt a person makes to connect with someone else. It can be anything, from a sweet smile, a touch on the shoulder, a compliment, the surprise gift of a homemade card "just because", buying a friend or love their favorite sweet treat, a sweet text to tell someone you are thinking of them, etc. The list goes on. Each of these "bids" is actually that person actually attempting to reach out, connect with you and thus, get closer with you. And the way you respond to a bid whenever its presented to you is a chance to solidify the connection that person you love is trying to make with you. When a bid is acknowledged and received well, this makes the relationship more solid, even in a small way (since often times, bids are small). However, when a bid is dismissed, unacknowledged, rejected or not appreciated, it has the opposite effect and can chip away over time at the relationship. This was a really neat concept, which I have explained in a super short and sweet fashion but which you can read about in far more fascinating depth in the book itself. I loved this book. Another excellent read. This explores the less-voiced-out-loud but frequently-thought-about universal human dilemma of: can you want what you already have? After a few years in a relationship with the same person, while, if its a legitimate relationship and love we certainly still feel love and attachment to that person, but things like excitement, sexual attraction, novelty and thrill can and very often do begin to decline. This is normal. This book explores the potential question of, is it possible to instead, keep some of the mystery alive even when these euphoric and heart racing emotions find themselves on the wane. It explores ways to maintain excitement and deep interest in your partner. The book introduces ideas of slightly alternate ways to approach relationships which offer one much more potential for maintaining this state of mystery, engagement and enthrallment in ones relationship (while still being close to one another). I found this book to be especially readable, relatable, thought-provoking and inspiring. 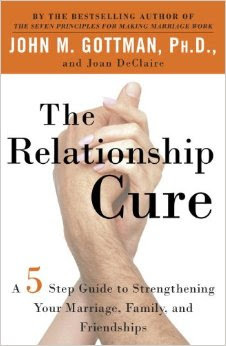 Really good and worthwhile read about relationships in general. A slightly offbeat selection in terms of the other types of books on this list, this one is the "wildcard" per say. But, it is AS WORTHY of reading as all the other books I have recommended, if not even more so. This book can teach us volumes about what it means to truly love another human being. The different forms love can shift through in its life cycle, the different faces that love for another can take, and the bravery, forgiveness and guts it takes to really love another truly. 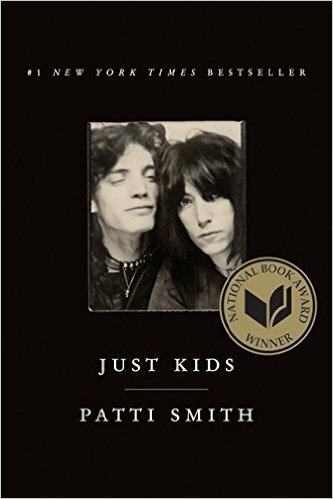 A memoir written by Patti Smith (songwriter and poet) about her arrival in NYC, barely 18 years old, desolate, homeless and striving towards her dream of being an artist. She crosses paths in an aligning of the stars with another fellow artist/equally desolate/striving artist-to-be, Robert Mapplethorpe. The two forge a memorable, deep, unconventional and wildly fascinating bond and relationship. This is, hands down, one of the best books I have ever read in my life. I picked it up on a whim, in large part due to its National Book Award Winner status, and because it kept popping up whenever I would wander through book stores (I hardly knew anything about Patti Smith, nor admittedly did I have any interest in her), beckoning me from the best seller shelves. Finally, I caved and man, am I glad I did. She is one of the best writers I have ever read. She spins magic, romance and poetry with her words. The portrait she paints of NYC during this time is a vivid, electric and intriguing one. Her relationship with Robert is heart-achingly beautiful, unconventional and deeply inspiring. It shows the connections that human beings are truly capable of, if we choose not to hold tightly to emotions like anger, jealousy and hurt. They truly are soul mates in the most real sense of the word. I have read this book three times and will absolutely read it again. HIGHLY, highly recommend this to literally everyone. This book doesn't require a lengthy explanation. Its an international bestseller, has been for years. And for good reason. Its an excellent read. It offers the insight and knowledge on exactly what it says in the title. 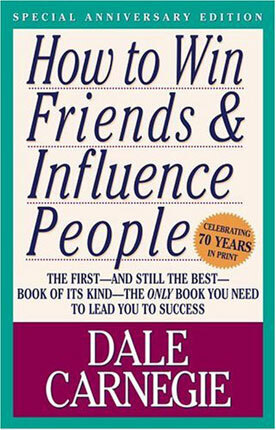 How to win the respect and liking of others, how to be successful with other people, how to influence them and never be wanting in the department of connection/friendship with others. Everyone should read this book once. I imagine many of us would be far more successful in life if we did. In summary, who doesn't want to be better in relationships? I would imagine all of us see areas where we could improve both our love lives and our social lives. I am not excluded from that bunch. None of us are. What if by investing a handful of hours into reading this short list of books, I told you that you could? Wouldn't that be worth the brief investment of time? If the new knowledge you would be armed with as a result of the combination of this list of books would help you in navigating your relationships more successfully going forward, I would venture to say its a very worthwhile investment indeed. The knowledge and insights I gained from ALL of these books has absolutely impacted and affected my life, given new life to my relationships and opened my mind and heart to new ways of navigating them. Outstanding Summer Recipe in Just 5 Minutes!